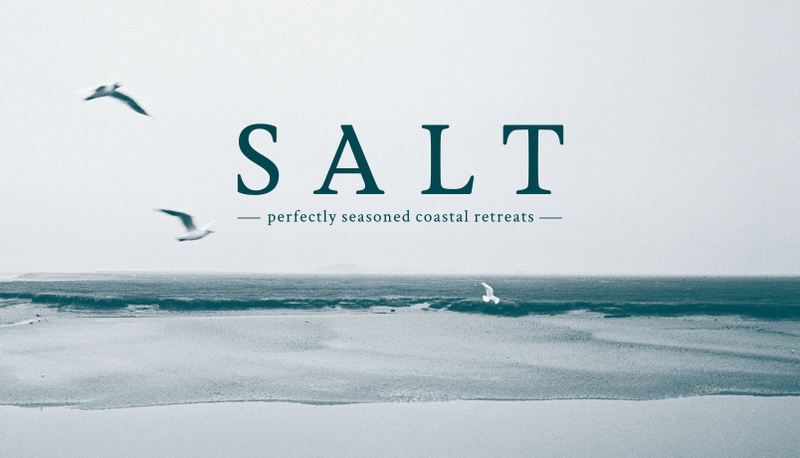 SALT transforms the ordinary into the remarkable, an apt culinary metaphor for Original Cottage Holidays' latest boutique Norfolk holiday cottage brand. Holy Cow! named it, branded it, and then helped bring it to life. Seasoned to perfection - enjoy. Throughout 2018, to mark the centenary of the first women achieving the vote in a British parliamentary election, we have been working with the team at the National Trust, developing a visual language and interpretation supporting a programme of events exploring some remarkable stories of women at Sutton Hoo. 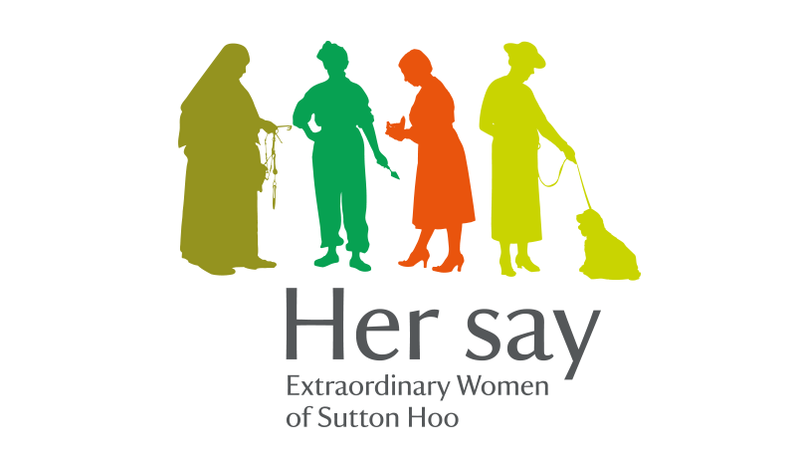 'Her Say' celebrates the extraordinary achievements of some of the women who played a part in the making of history at this archeological significant site. Holy Cow are working with our long standing clients at the Seckford Foundation, putting the final touches on the collateral for the first Flourish summit. 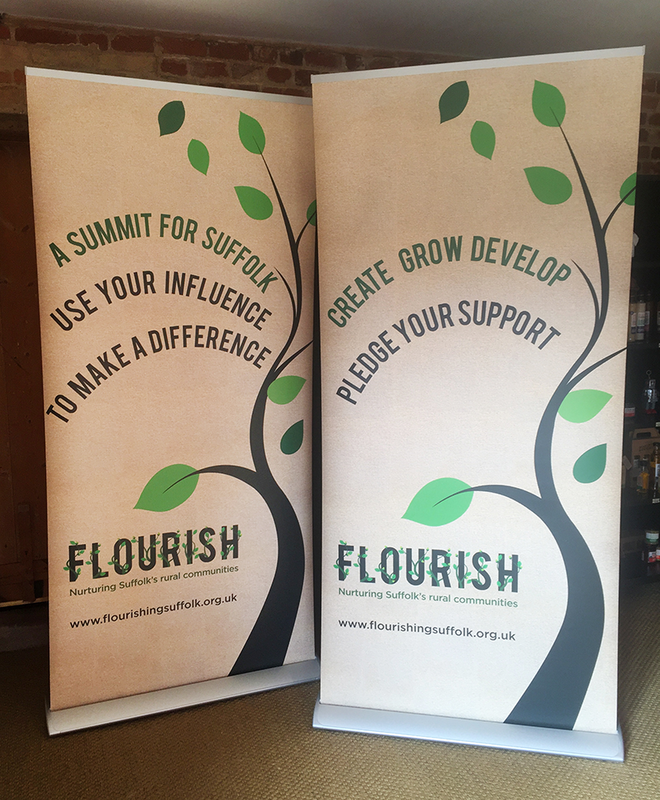 Flourish is a collaboration of three Suffolk charities working in collaboration in order to address rural issues. 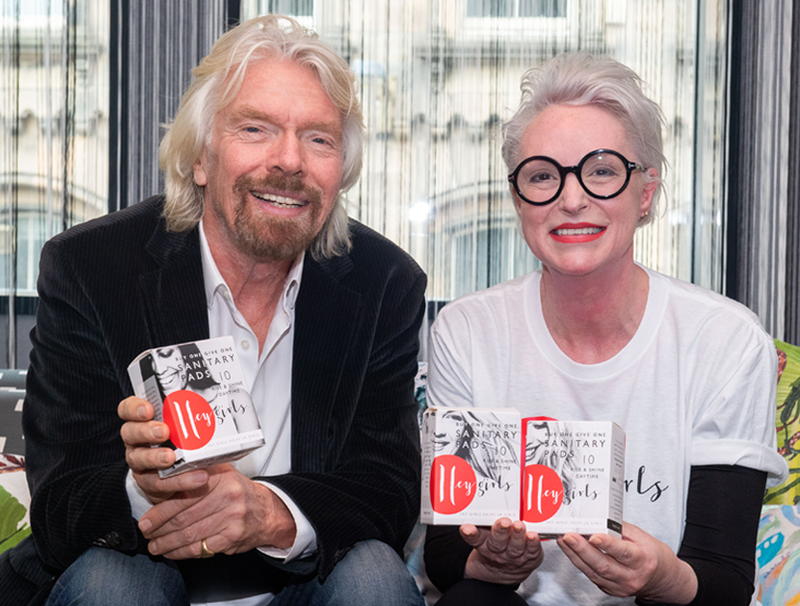 Determined to make a difference, Lady Euston launches her vision at the Summit next month. 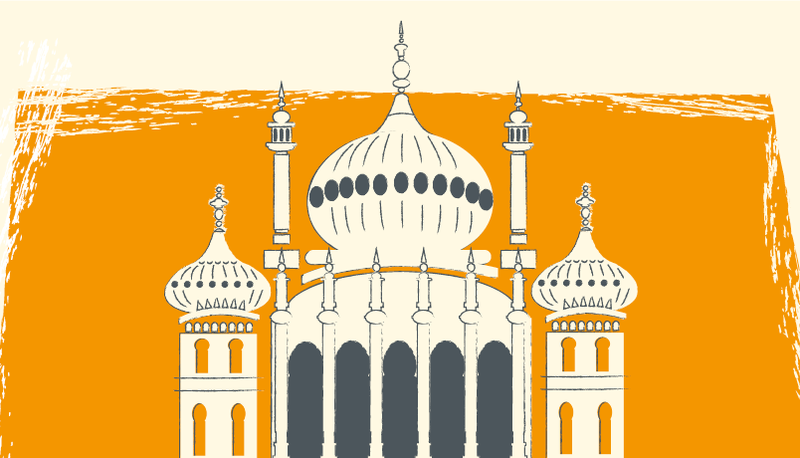 Brighton is vibrant, colourful and creative - Best Of Brighton, part of The Original Cottage Holidays group, now has a brand to match. Our latest project has involved working with the sales team to develop an owner recruitment guide in order to share all that makes Best of Brighton the best in Brighton. Thank God for Françoise! Our talented team members' background in publishing has made our first book design commission a huge success and a very proud moment for Holy Cow. Un-earthed will be un-veiled at the Aldeburgh Food & Drink festival on 24th and 25th September. Françoise will be available for book signing by appointment! As Autumn approaches and avid horticulturists start putting their gardens to bed for the Winter, Marlows Home and Garden are planning to finish the year with a flourish. A new look shop and cafe. And scandi inspired branding to match. It's blooming marvellous. Charles Wells - getting them in since 1876! Nearly 140 years ago Charles Wells bought his first brewery on the banks of the River Ouse in Bedford. 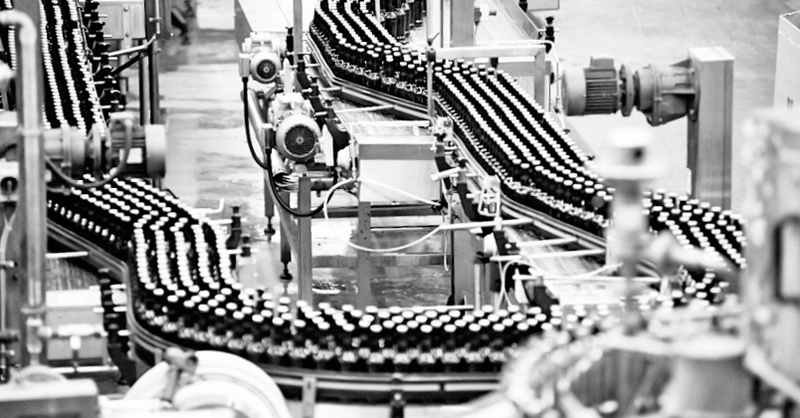 Today, Charles Wells is the UK’s largest private brewing company, with a substantial pub chain across the UK and France and a rapidly growing export business. Fiercely proud of their family history and continued success Charles Wells had stories to tell in their 2015 Annual Review. Our first project with the Charles Wells team was delivered at the end of 2015. Here's to the next successful project - cheers! It's that time of year again... The spectacular extravaganza that is the RHS Chelsea Flower Show. Devoted floralistas flock to the temple of RHS Chelsea. It's the highlight of every gardeners' year. Amateur and professionals alike enjoy the latest in contemporary design in the show gardens and the specialist plant displays. And this year we will be joining them. 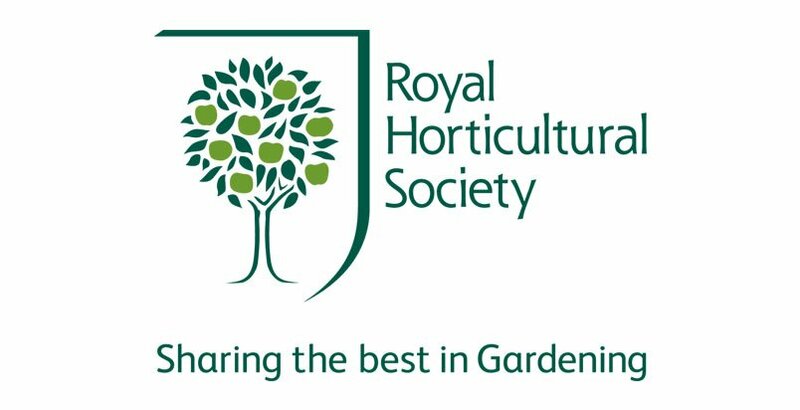 Holy Cow are delighted to be working with the Royal Horticultural Society on some exciting new projects, so Françoise is heading to Chelsea for some essential inspirational research. The Anglo Saxons loved a good riddle. We have been working with the National Trust at Sutton Hoo on a new project that uses poetry, language and symbols to emotionally connect the visitor with the stories of life and death at this world heritage site. Go on have a guess - the clue's in the title! We have worked with Suffolk Secrets, the family friendly holiday cottage brand, for 18 months. We have made their marketing, month in month out, fun, memorable, and simply delightful (just like a good holiday should be). Having created witty headlines, sunny colours and clever graphics we are about to put the cherry on the cake! Suffolk Secrets new logo - shhhhh it's a secret until January 2015 - keep your eyes peeled. We've been working with Muntons pretty much since Holy Cow was born. Over this time we've worked closely with them, developing their brand strategy, we've helped them re-invented homebrew and given them a foothold in the US craftbrewing market. Deep breath. Our latest project has been to develop a sub brand which helps them communicate and promote their sustainable business practises. 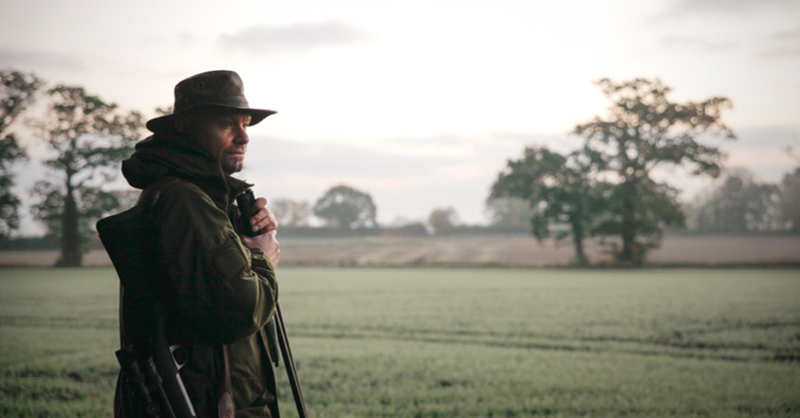 Muntons had coined the phrase 'Practical Sustainability' which became our starting point, and our ending point. We're now helping Muntons tell the world about their active lead in promoting low carbon business. Working at the end of a track in the Suffolk's glorious countryside can get a bit spooky during the evenings, especially this time of year. Yet recently good old mother nature has treated us to some pretty stunning sunsets. 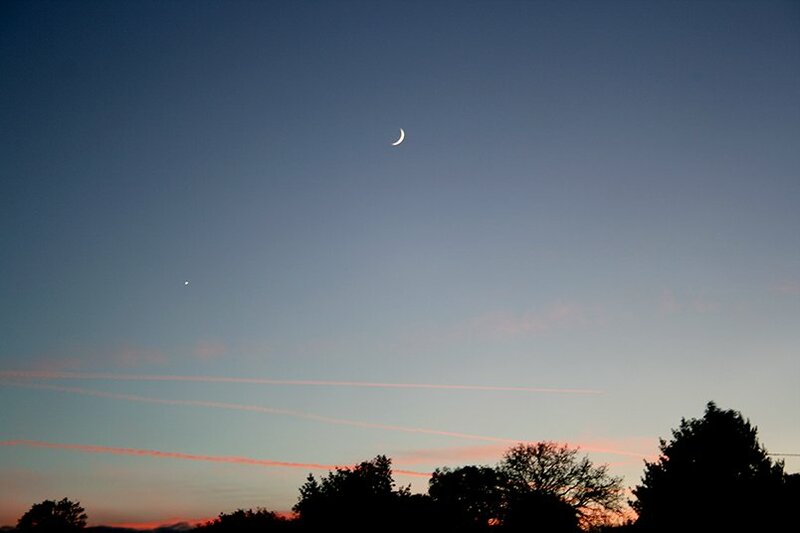 The one above captures Venus (look at the moon and go down diagonally to the left - yep you got it, that white spec). It's not quite up to National Geographic standards but we thought it was pretty stunning. We then proceeded to talk about our place within the ever expanding cosmos (pretty deep stuff). We prompty stopped playing around with kerning, nudging colour values and shifting designs to the left one pixel, no, to the right one pixel and popped to the pub. It's been a frantic couple of months, but we are nearly there - Edward's Cordial will be launched at the BBC Good Food Show at the NEC in just under a weeks time. Edward first approached us a few months ago via a client referral. His amazingly refreshing cordials sent our tastebuds into overdrive as we worked together on his brand refresh. We decided to keep things simple, developing a marque which captures the handmade essence of his cordials and involves a subtle play on words. Our hard work has ended with Ed being able to allow his amazing produce shine amongst one of the busiest food shows of the year. Ed's hard work is just begining. It's always an interesting time of year when the Christmas projects come through the door, it can take a little time to get into the mood, nothing a glass of mulled wine can't cure. It certainly helped us come up with designs for the Suffolk Secrets and Southwold Lettings. We were chuffed to bits back in September when we won the account (we still are). Both companies have embraced our pretty creative solutions for their marketing campaigns, reaping rewards - our campaigns are out performing industry trends and indeed the other companies within the Original Cottage Company, converting clicks to bookings. Time for a celebratory mulled wine! "Well, it's all a bit frightening. Everyone LOVES the new branding and we have picked up orders from a chain of 15 Whole Foods type shops in Texas, shops and a distributor in Canada, a fabulous fine food shop in Chelsea Market, NY... and a fine food distributor covering the coast from Washington to Boston... and possibly Dean & Deluca - their overseas stores, starting with Korea. A major UK distributor is asking about a range of floral / summer flavours in the bars for their Easter catalogue (I think they select products in August)... and I have picked up some interesting new ingredients for some new flavours too - sorry Françoise, it's back to illustration selection again in the next few weeks! So, thanks again for coming up with such a quirky brand. There must be 500 artisan chocolate makers at this huge show - but we really do stand out! I'm frightened to come home as that's when my real work begins - we've got to manufacture the damned stuff!" Rymer Farm eggs are now being stocked at Tesco and we got really excited when our client Toby sent us the following email entitled: First week in Tesco (28 stores in East Anglia) – think you’ll like the attached! Just a quick email to let you know I picked up half a dozen eggs from Tesco the other day and your packaging does wonders for your product. I walked passed all of the other eggs on the shelf just to pick up your ones because the egg on the front was wearing a fez. I am an avid Dr who fan and regardless of whether the eggs were in any way related I still chose these because they made me smile and because 'Fez's are cool'. I showed some of my family who were equally impressed and we will be buying products from you in future. Not quite the double digit growth story we envisaged! Holy Cow! They are my favourite design agency named after an animal! - Bex, Leading Lives.